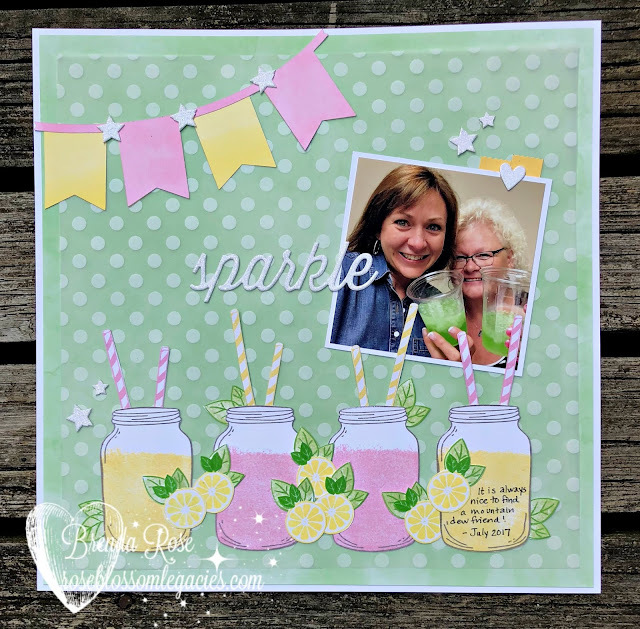 Classic Summer Bash has truly been a fun stamp of the month to work with, and I can see using it for many projects in the future! I came across a fun photo yesterday, and I knew that I wanted to use that stamp set today. My friend Michelle loves Mountain Dew as much as I do. She drinks regular and I drink diet, so when we had these flavored sodas from Sodalicious in Utah, she was able to handle it a little better than me. Life is about the little things - it's important to remember them!